No matter if you are a resident or not, you can open a Public Bank gold investment account enabling you to put money towards gold assets measured in grams with a minimum purchase requirement ranging from 5-20 grams depending which Bank you go to. May Bank also offers a gold investment account in Malaysia called Gold Savings Passbook. All banks in Malaysia apply pretty similar rules as to opening gold investment accounts. 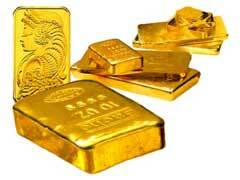 Let’s take a look at the pros and cons of gold investment account in Malaysia. Gold investment account in Malaysia is an easy and convenient way to invest in gold by logging in online and making a minimum purchase when the spot price of gold reaches your target amount. No safety concerns or extra storage fees associated with caring for physical gold coins or bars. You can easily sell your gold investment positions when you feel like it’s the right time or you need money to fund another type of investment. With gold investment account in Malaysia you never take possession of physical gold, in case of major financial collapse, your bank might go out of business and you will lose your gold investments. Some believe that it’s better to buy into physical gold rather than investing in so called “phantom gold”. There are bank established minimum account balances of 10 grams of gold at the end of the year. In addition, your minimum gold asset purchase is set at a minimum of 5 grams. Interested to learn more about gold investment in Indian banks? Scroll over to read more on this topic.